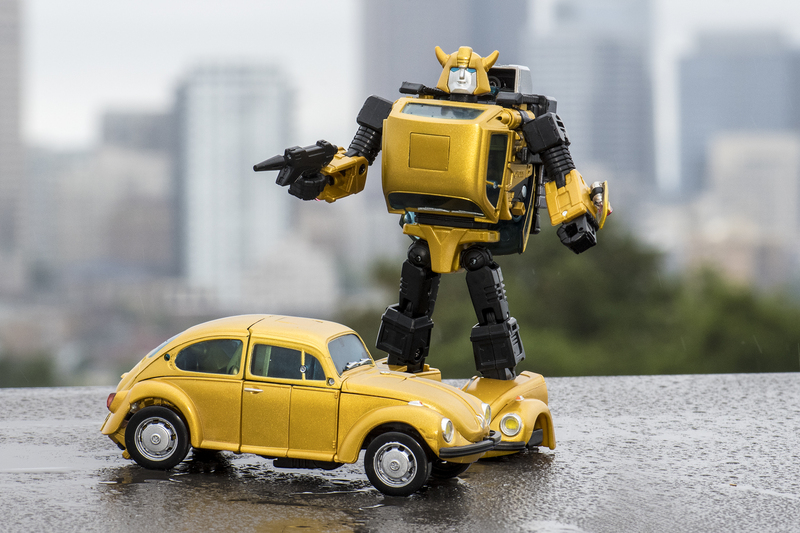 I enjoy macro photography, so I decided to have a photoshoot with a Takara Tomy Masterpiece Transformer in celebration of the new Bumble Bee Transformers movie coming out in December. It was a fun side project to work on my product, composite, and long exposure photography skillsets. I started out with some basic portraits atop a roof in Seattle. Then moved on to making a composite photo while battling the Seattle rain. 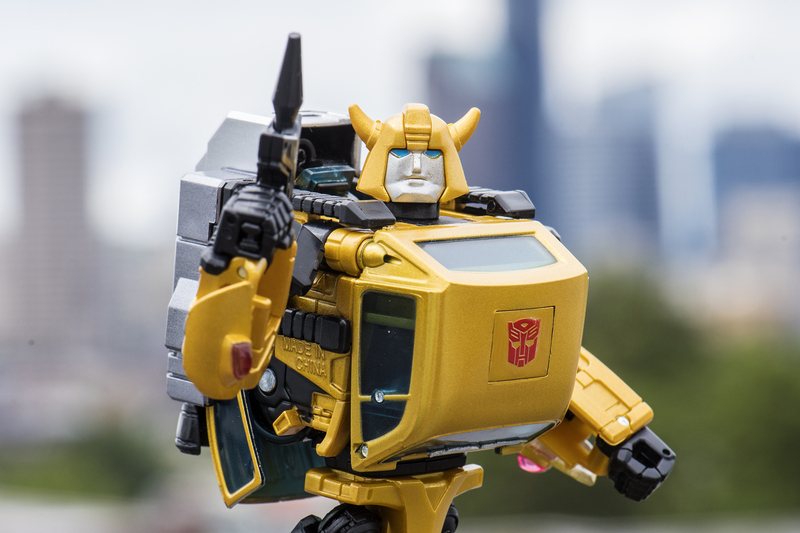 I posted a few of these on the Transformers subreddit and got a lot of critiques and feedback on the photo. Turns out there is quite a large group of collectors out there and companies making Transformer toys. The Transformer collectors were great letting me know I forgot to put stickers on and wasn’t actually transforming the toy properly. They also came up with some other ideas for photos like the classic 1970s cheesy double exposure photo concept you can see below. The photo I really had in my mind was a long exposure composite photo with the Seattle skyline in the background, which I was hoping would give it a Cybertron kinda feel. The first couple tries went OK, but To really get the photo U had in my mind I need to shoot a 5 minute exposure at f22 + to get the city a little more in focus. After about 10 photos and an hour of time where I had to shoot two the Transformer as a robot and vehicle to put together as a composite I finally captured the photo I was going for you can see below. 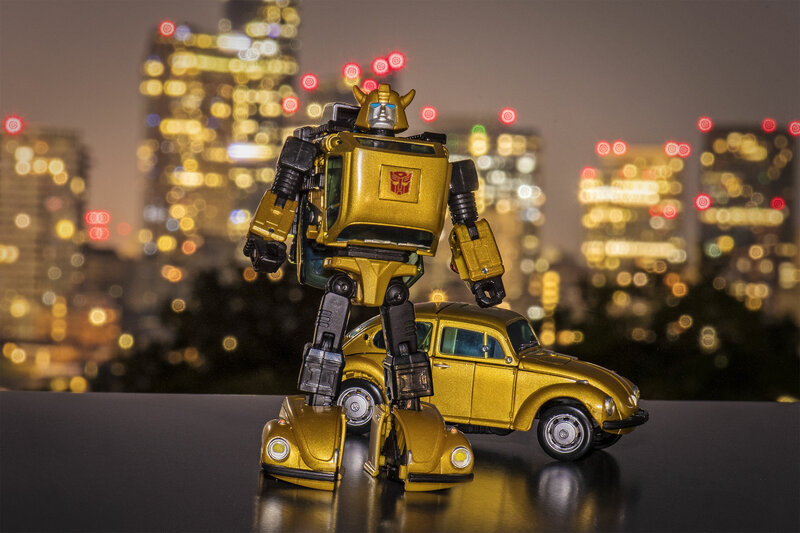 It was a lot of fun creating this photo and I learned a lot about photography and the Transformer community. Probably going to look into some of the other Transformers I had as a kid and buy another one since this was a lot of fun to capture and is a nice project to have since I can do it at home with no time or weather constraints. 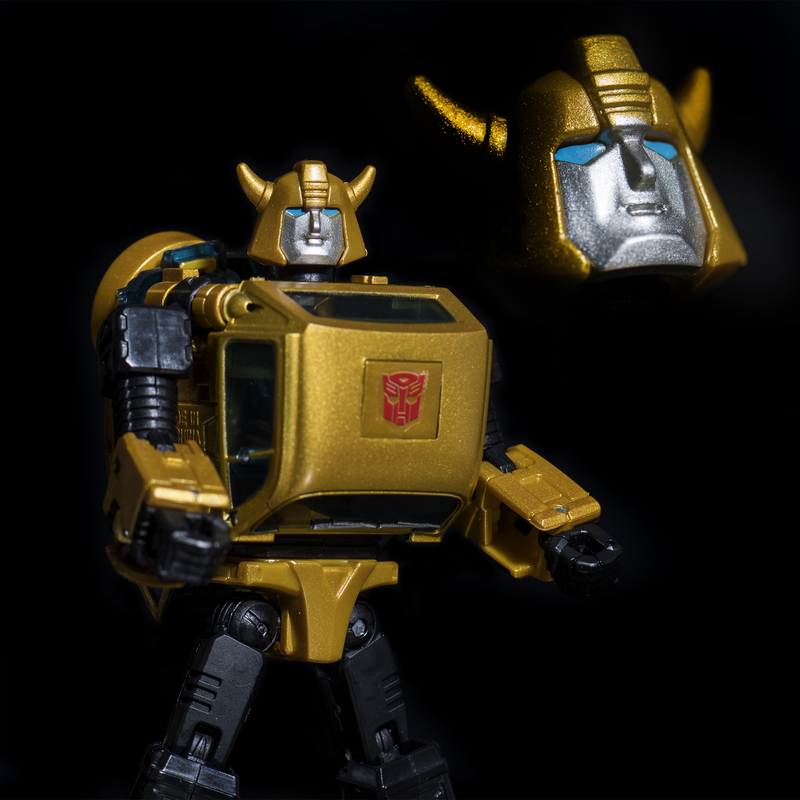 If you are looking to get into more Transformer photography checkout the selection at Tfsource.com. 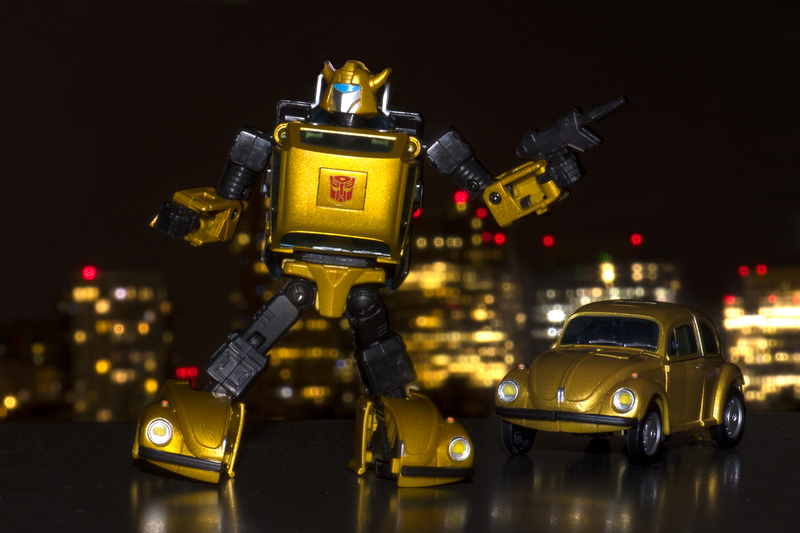 If you want to learn more about macro-toy photography just keep checking back for future blog posts!